Hey Cryptos, I am getting married on Halloween, October 31, 2013, to my fiancée Jenny. My thanks to so many of you for your well wishes. And donations. 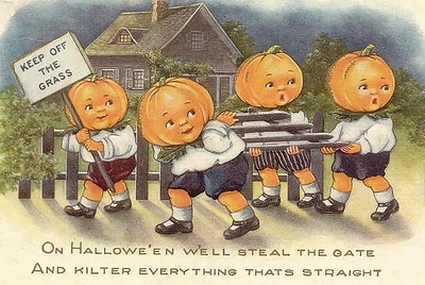 Some people will send important personal gifts, and we don’t wish to get in your way about that. A pick-ax from a Himalayan Yeti expedition from 1958 is something that will not be returned, of course. A cryptid painting or a toy of a Yeti will find a place in the museum. 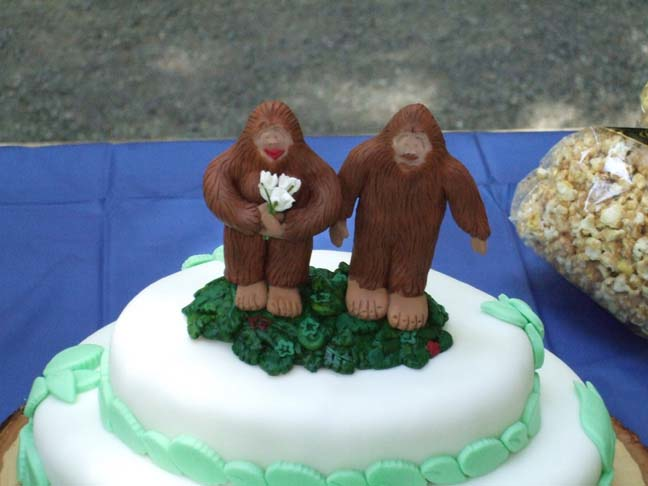 In general, however, we both are requesting that in lieu of the traditional personal wedding gifts, please consider a fiscal donation or becoming a member of the International Cryptozoology Museum. 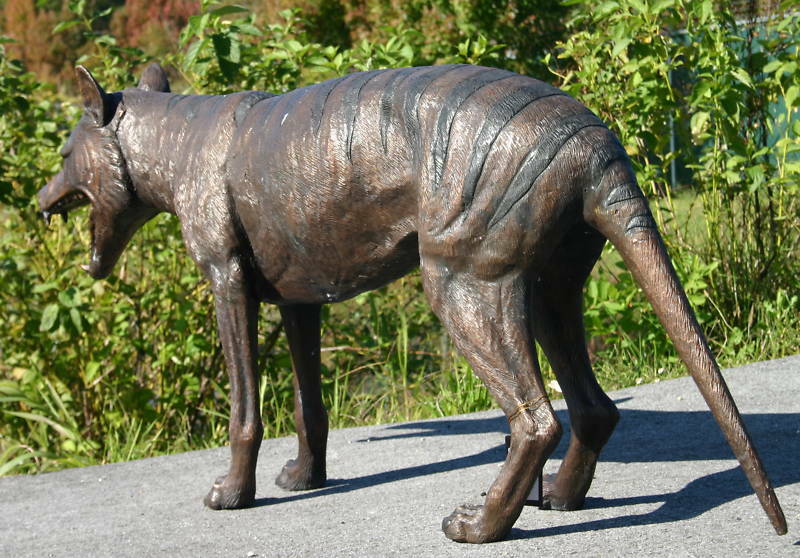 One group of individuals decided to make their donations into a physical object – this Tasmanian Tiger (Thylacine) bronze, which is now on display at the museum. Cryptozoology associate Chris Orrick originally suggested this permanent solid bronze gift for us, for display at the Museum. Orrick – as well as Serena Altshul, Chad Arment, Cliff Barackman, Adam McGirr, Patrick Huyghe, Mason Woodruff, Jack Thompson, Matt Bille, and Mike Williams – have donated to the acquiring of the Thylacine. Also, we thank the seller, All Classics USA, for agreeing to a massive discount for the museum. Important Notice: As the museum is a State of Maine nonprofit corporation, letters acknowledging your fiscal donation will be sent to individual contributors in December, for your tax charity purposes. Thank you. Aye aye Loren still got i’ baby! Given it’s y’wedding this might be the very occasion to resurrect them David Hemmings white slacks o’ yours! Next Entry: Zana Was 100% Sub-Saharan African: Possibly A Slave!